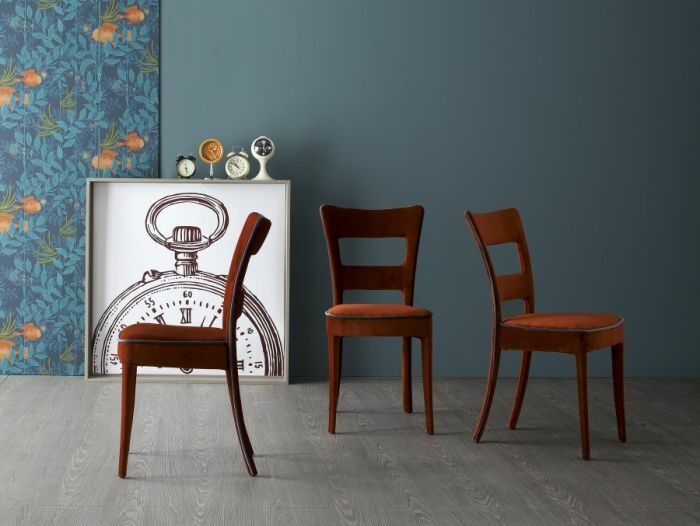 Living every day like a fairy-tale come true: this is the spirit of the Sheryl chair, which bestows an enchanted atmosphere onto any setting and which, thanks to its sinuous and light-weight shapes, is also suitable for use in the bedroom. The continuity between the backrest and the rear legs, comprising a soft slightly curved line, creates an harmonious whole to which the chair adds depth. Sheryl has a solid wood frame and it is upholstered entirely with fabric, leather or eco-leather covers. It stands out for its ornamental border, contrasting or in matching colour.